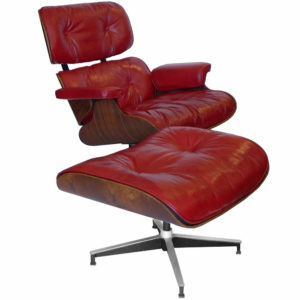 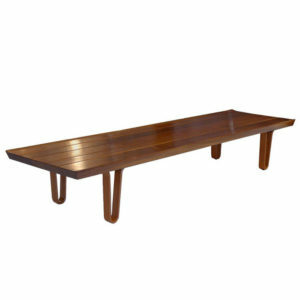 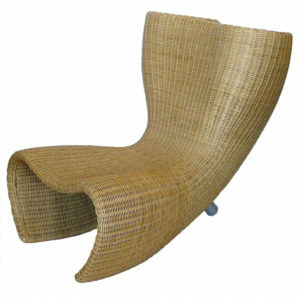 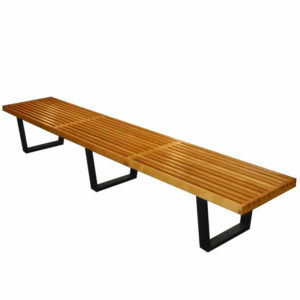 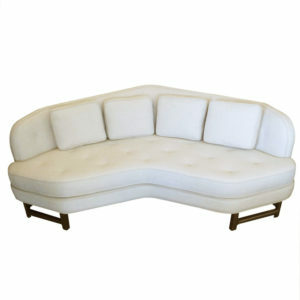 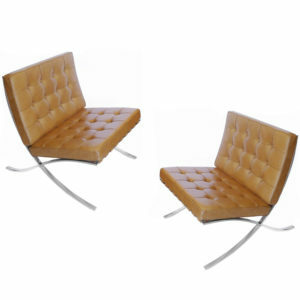 Home	> Shop	> Seating	> Lounge Chairs	> Arne Jacobsenin Orig. 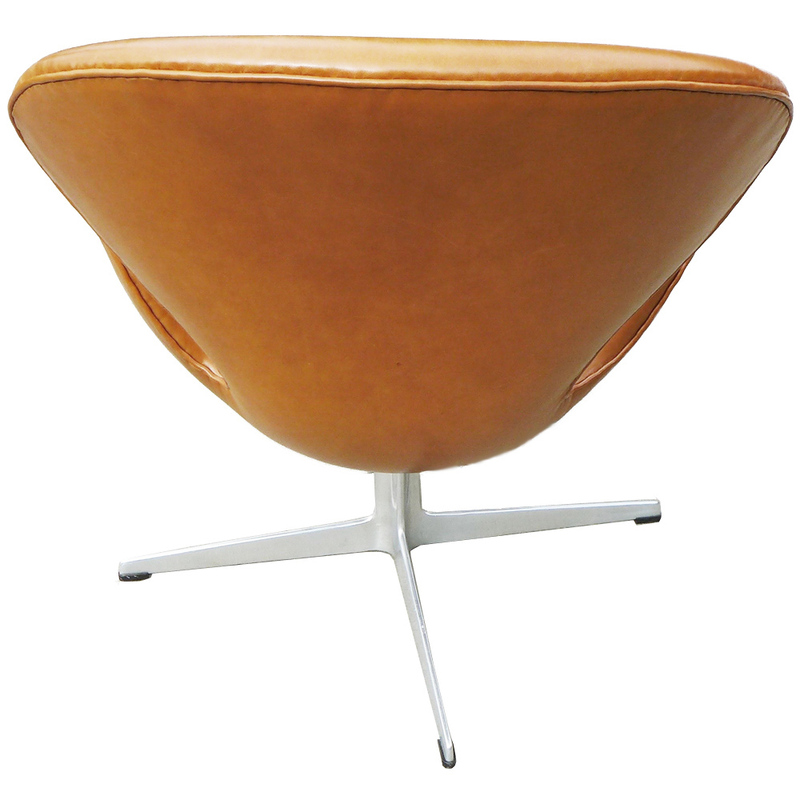 Swan Chairs Saddle-Tan Leather Pr. 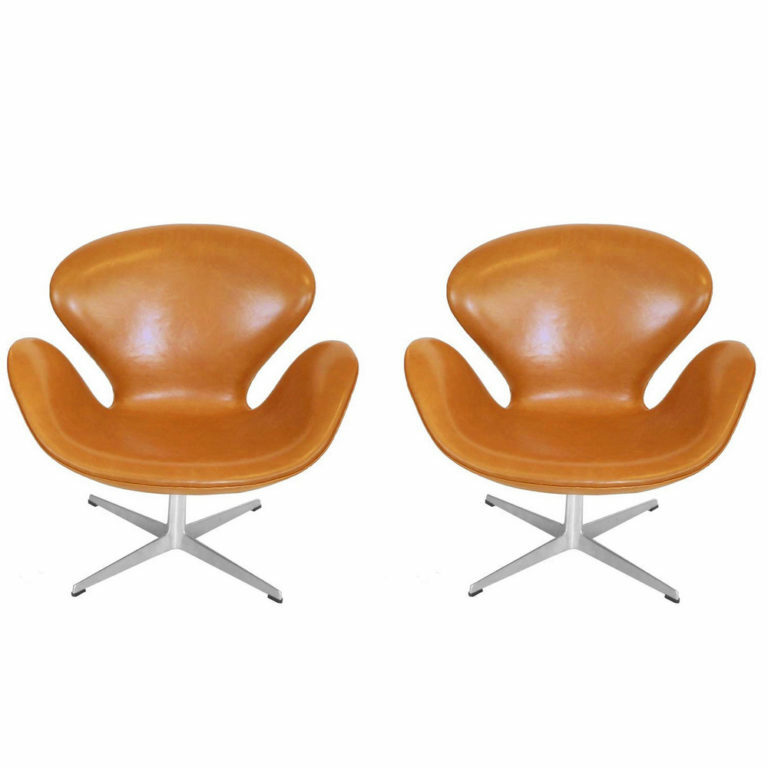 This is pair of original Swan chairs designed by Arne Jacobsen in vintage saddle tan color leather. 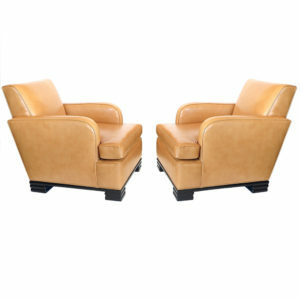 They are in great original condition, and swivel freely. 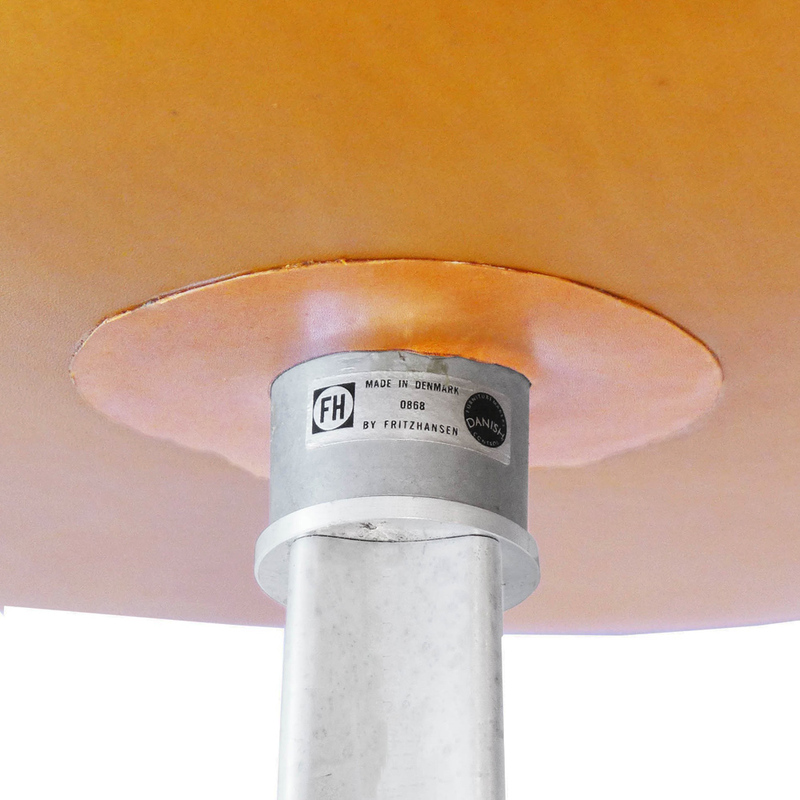 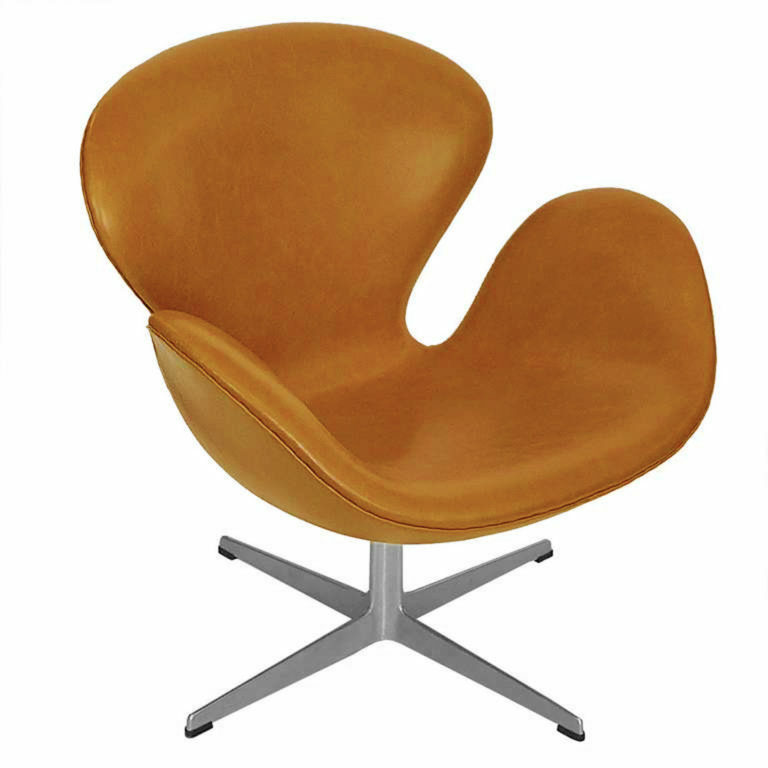 These Swan chairs retain their original Fritz Hansen label with the Fritz Hansen logo and “Made in Denmark” molded into the underside of the metal base. 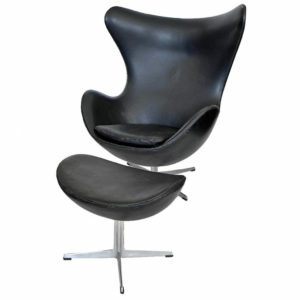 In 1958, Arne Jacobsen designed the Swan chair for the SAS Royal Hotel in Copenhagen. 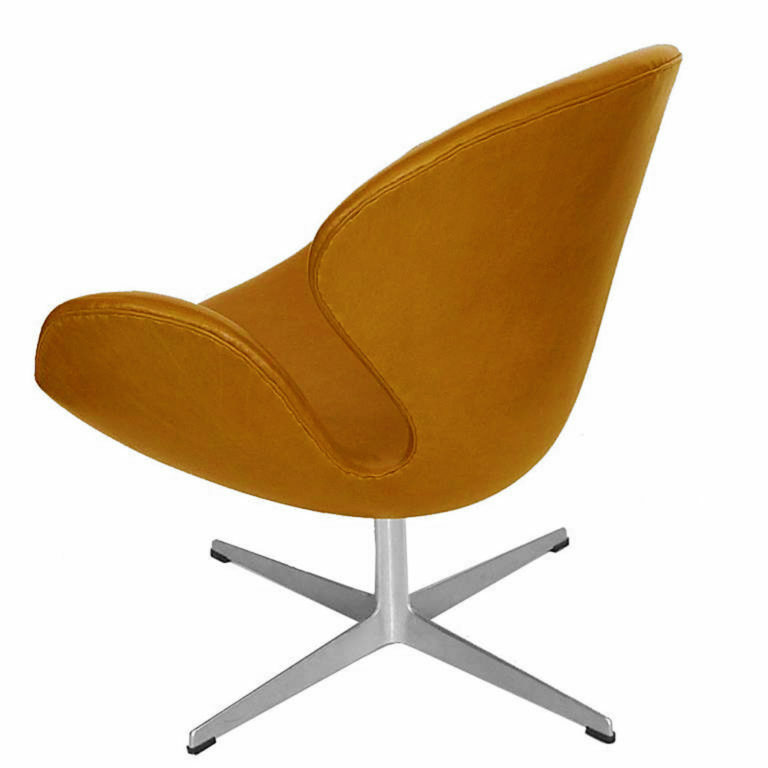 The swan chair is still in production, but sadly the original design of the chair base has been extensively altered and no longer is formed from a solid cast piece as Jacobsen designed it. 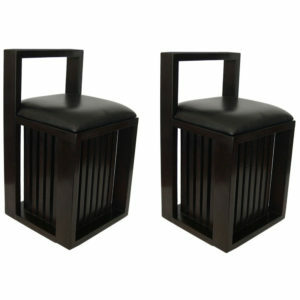 SKU: PSCTL. 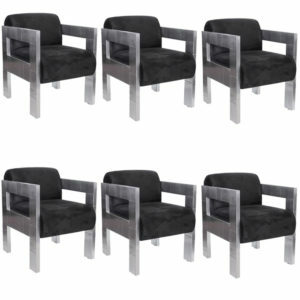 Categories: Lounge Chairs, Seating. 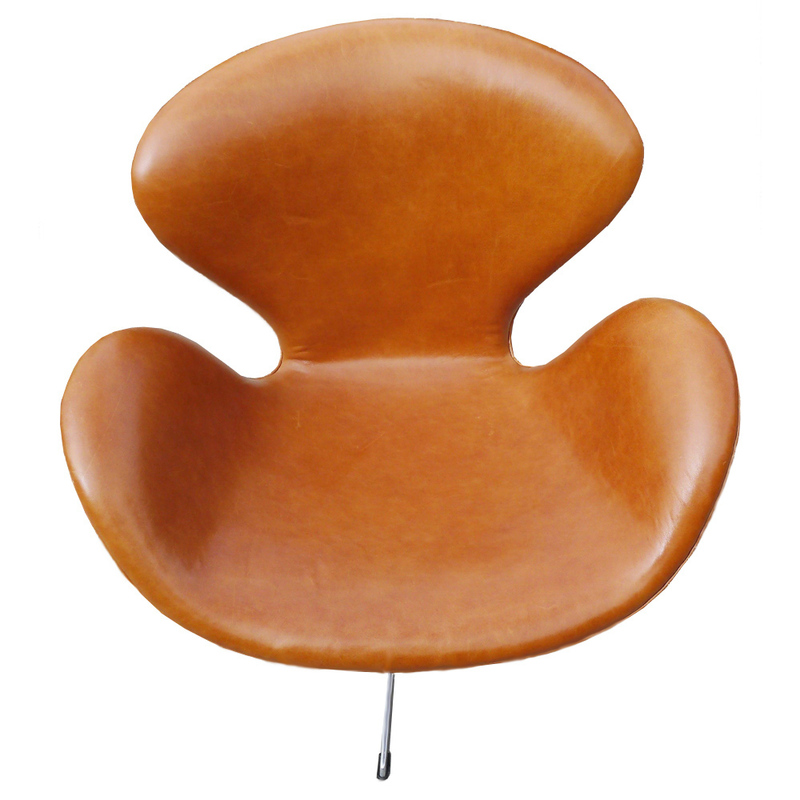 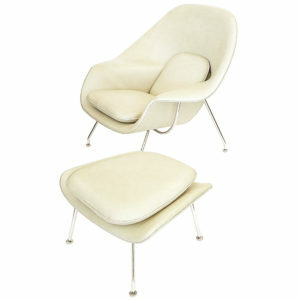 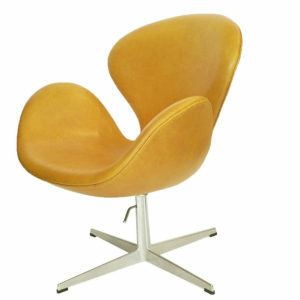 Tags: Arne Jacobsen, Fritz Hansen, leather swan chair, original swan chair, Swan chair.